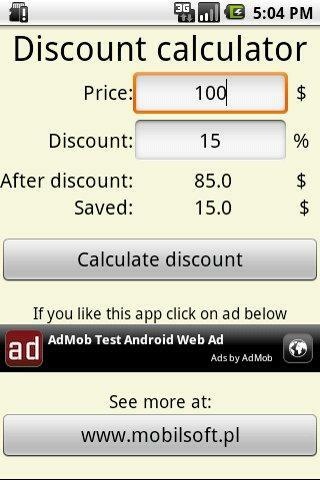 Discount Calculator - This application will help you with calculating price after discount. 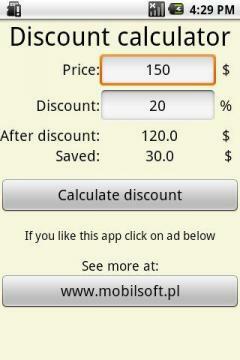 Enter original price, discount percent and check new price! Jump between spots and take little black bird home!